Testimonials | What others are saying.. I just wanted to thank you for sending out Emilio for the lighting. He is AMAZING! I’m not sure how long he has been with New Castle, but we’ll buy more of whatever he’s responsible for. He worked with my 16-year-old son to figure out the lighting. My son, if I’m honest, doesn’t really like anyone. He’s not into adults at all. He loved Emilio. Honestly, we had a five-minute conversation about what he and Emilio worked on and how they figured things out. It was great. I haven’t seen the lighting yet but I got a complete explanation of how to adjust everything if we need to and was assured that if I had any questions all I had to do was call. Perfect 10! Curt really liked Chrissy too but I didn’t get to meet her so I can’t gush about her in detail. Thank you, Stacey, for making our home look so good. – Sue W.
Brian, just a quick note to let you know how happy we are with the lawn & landscape team the last three years. 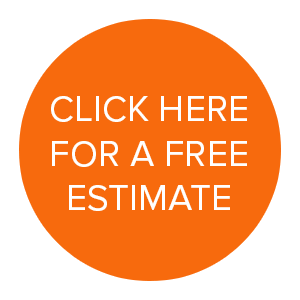 There simply is no better, or harder working, lawn maintenance group in the area. Their attention to detail is superb, including the appropriate application of chemicals as needed. Additionally, Tai & her landscape/horticulture team continue to provide us with impeccable spring/summer/fall cleanups & trimming, while creatively designing & planting. We are most impressed by the friendly nature in which each member of the team interacts with us while on the job, always willing to listen to concerns & answer questions. Clearly, you are the best of Berks! Sincerely, – Ron & Kathy W.
“Please extend my thanks & appreciation to the Enhancement crew for the incredible job they did today. I’ve never experienced a crew that worked as hard and flawlessly as they did! Tell them that I came home early so Joe wasn’t able to take a picture of my happy face but trust that I was overjoyed with how beautiful the work was done. I’ll be sure to recommend New Castle to all the neighbors & friends & will call you again next year.” Nancy W.
“Grass came in nicely and I was actually able to mow it for the first time today. The end product is what we had been wanting for years! Thank you both, Phil, Charles and staff for all the hard, dedicated work!” -Tim R.
“Dear Brian and Brad, We had such a wonderful experience with New Castle Landscaping that we felt the need to share our positive project with you both. From start to finish, we could not have asked for better customer service and/or satisfaction. Rick came to our home to look at our backyard and gave us many ideas and suggestions that we had never even thought of prior to his visit. His finished design was detailed and his experience in landscape design was evident throughout our discussions with him. Most importantly, Rick really listened to what our thoughts were throughout the entire design process and took everything we said into consideration. Our patio project was completed by two of your employees, Jeremy and Erik. We were so impressed with their strong work ethic and attention to detail as our patio and water feature were installed. The team was always polite, professional, and obviously they take great pride in their work. Their completed jobs looks amazing and actually exceeded our expectations. We have received numerous compliments and are enjoying our backyard on a daily basis thanks to your team. Thank you to everyone who worked with us on this project and we are definitely looking forward to working with New Castle on our future projects.” -Jeff and Melissa S.
“Michelle: Please extend my gratitude to the New Castle Snow removal team for the excellent, excellent job they did here in the Meadows. They have set a high standard for the safety of the residents that I can only wish the Wyomissing Borough and other surrounding municipalities would attempt to achieve. Let them know that I for one, truly appreciate their efforts.” Thank you, Arlene S.
I am over the moon happy with my entire experience with New Castle. From my first call to the estimate process to the scheduling of my project to the actual work and now the final product, the communication and process could have not been smoother! Working in a customer service field myself, I deal with numerous suppliers and contractors on a daily basis and I can say my experience with New Castle far exceeded my expectations! I will highly recommend New Castle to anyone and everyone! Jess P.
It has been a pleasure working with you and the entire staff who worked on my landscaping project. No question I would recommend Newcastle to anyone. I was impressed with the professional and accomodating efforts during the planning and implementation of the project. Special kudos to the crew for their efforts during the hot weather. Couldn’t have asked more for a great job! Also, god bless Dan for resolving my low voltage electrical problems. I would still be going crazy trying to figure out what needed to be done. Look forward to working on additional projects with Newcastle in the future. Thanks to one and all! -Dave S.
Good afternoon, Dan— Just checking in with you the let you know that we are thrilled with the landscape lights and the concrete work. Well, I know I did some gushing already to you about the lighting, but I really can’t say enough. I am at the point now that I just think this is the way it has always been….gorgeous! But I didn’t get back to you about the concrete…other than a few chats. This is beautiful work, and your cut out areas were so clean and not invasive. That’s great work! My epiphany came last Sunday when I mowed our lawn for the first time coming back from vacation and I was able to make a straight path along the sidewalk and the utility pole. I really do not know when I ever was able to do that….at least without the severe risk of wrecking my beloved mower. WoW! So all in all, the jobs you did for us are first class, and I send out a great big thanks to Matt, Emilio and to you of course for updating our landscape with such class and so professionally. Hopefully you can do some more projects for us in the future. We will come back for more and have not hesitated a second to recommend you to all who will listen. Again, we are very appreciative of the fine work you all did for us, and we hope you and your family are having a fun Summer. Stop in for a chunk of watermelon and a chat whenever you are in the neighborhood. It would be our pleasure to see you again. Have a great weekend, Dan. Gratefully, David and Esther M.
Andy and his crew did a fantastic job. We are very satisfied with the work they did. Brian I just what to thank you for all your hard work in taking care of Savage Hyundai and my house. I have to tell you we have had a lot of companies take care of our landscaping needs and you guys are by far the best. Your team goes out of their way to listen and make sure the job is done right. Thanks and keep up the hard work. We had been trying to decide on a landscape company and design since we moved into our home three years ago. During this time we had gotten several reputable consultations and never found a good match with in regards to workmanship, quality and creativity. I was beginning to think we might have to endure the same landscaping forever. Fortunately, in came Newcastle landscaping and Brad Stevenson. He brought the vision to life that we were finally looking to achieve. Brad was exceptional in how he worked with our aesthetic plan and showed us accurate computer images so that we could get a realistic impression about the final result. He was relentless and how he went back-and-forth making alternative suggestions and adjustments never once seeming tired of our requests. I always felt he went the extra mile for us in every step along the way. He was always prompt and so pleasant to work with. He had adhered to a very ambitious installation schedule as well. His team was very professional and worked tirelessly to make certain every rock was placed perfectly and every hedge was properly positioned. All the staff could not do enough for us in satisfying all of our landscape needs. We really feel so well guided during the whole landscaping process. We look forward to another project with Brad and Newcastle landscaping. You will surely not be disappointed in the quality and service provided by everyone in this organization. Thank you for a job very well done! I just wanted to take a minute to let you know how much we like the landscaping….but even more than that, I wanted to be sure to tell someone from your company how great the team was that you sent in to do the work. They were congenial, kind, and very helpful. They did a great job. They are great representatives of your business. Hi Stacey: I’m very pleased with the work your team did on our yard yesterday. It sure needed some TLC and it looks great. Chrissy had a few things they need to come back for—but it’s a beautiful transition. Thanks so much for your help in getting our yard back in control. It was a pleasure to work with you and your team. Just wanted to let you know Newcastle did an awesome job! Very pleased with the work! Nice group of guys too…will definitely recommend you to anyone we know who is looking to have landscaping work done. What would be included in a fall cleanup? BTW, your team is doing a great job. all have acted professionally and the property looks very good! That may be why others in the development are now turning to New Castle! Thanks to your whole team! We are so happy with the tree trimming job, and your crew are great workers and so good at what they do. Residents of Bldgs. A & B are so happy with the new look. It’s like someone opened a window for them, and they are getting so much more daylight. GREAT JOB, as always. The partial cutting today was a good idea, and looks great. 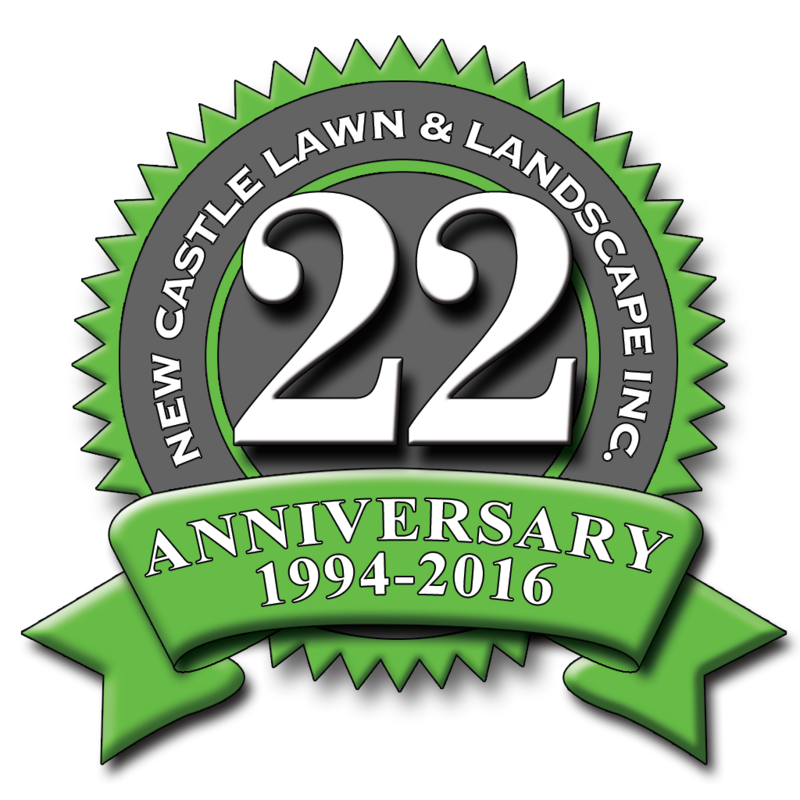 Over the last 20+ years we have had all kinds of landscaping and lawn maintenance work done by New Castle Lawn and Landscaping. The company has always performed their work in an exemplary manner with the highest respect for our property. Our latest project involved using boulders and building up the corner of a downslope on our property adjacent to our house. The job was done beautifully and we are receiving compliments from many of our neighbors. It totally changed the look of that part of our landscaping to a much better look. 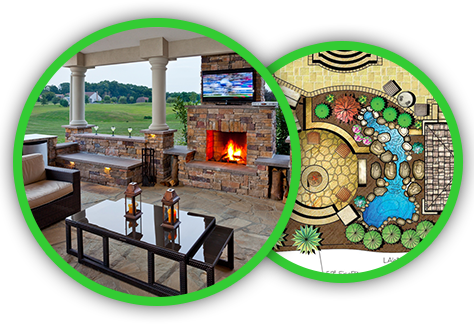 Their ideas for hardscaping and other land and lawn improvements is always innovative, well thought out, and completed beyond our expectations. We have and will continue to recommend them to family and friends without hesitation because we know the job will be done right and on time and at a very fair price. The W. W. Homeowners Association was formed over 20 years ago and New Castle Lawn and Landscape has taken care of our lawns, right from the beginning. Your fair pricing and excellent service has always been consistent. Thank you for all the years of great service and many more to come. S. Petsch – Welsh Woods Homeowners Assoc. Stand up guys and a top notch company! I’ve seen their work many times and I’m always impressed! I absolutely love our paver patio that New Castle installed for us a few years ago when we purchased our new house. From design to completion the professionalism and customer service was amazing. They designed the patio to accommodate a hot tub and fire pit with a seating wall. In addition to the patio they designed and installed all the landscaping at our house. After a few years I noticed one of our steps had started to sink. I called Brian at Newcastle to explain what had happened. He told me no problem he would have someone come and look at it. Three days later I came home from work and they had the step removed and fixed and replaced it. I was completely amazed the way they stood behind their work. No follow up phone call necessary, no haggling, they just came out and took care of the problem. I highly recommend Newcastle to all my friends, family, and clients. We have been customers for five years and could not be more satisfied with the quality of work and, most of all, the quality of the people. 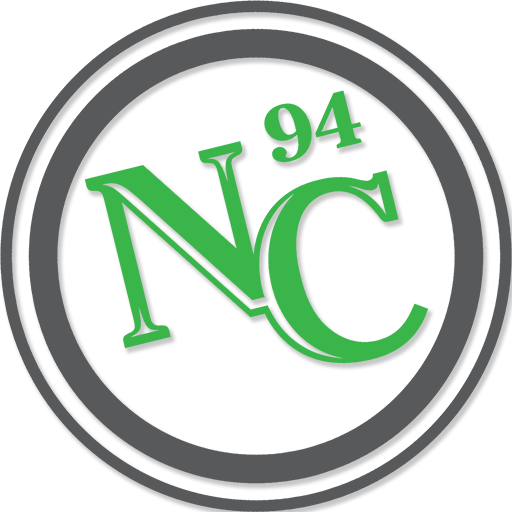 NC handles our turf maintenance, landscape maintenance, landscape plantings, have done masonry work, tree work, have installed a complete patio and sail and have even done turf work on our farm. Rick T.
The folks at New Castle are incredible to work with! They created and installed a new awning for me two years ago and have faithfully removed and stored it for me each winter and hung it for me in the spring! The staff is always courteous and great to work with! Thank you New Castle for helping the West Wyomissing Chapel with the replacement of a sentimental tree that was a reminder of our pastor’s daughter with a new tree. Brett and his family really appreciate it and were especially touched when they received their gift on New Years Eve of the wooden cross and frame made from the original tree! You guys are awesome thanks again! New Castle is a fantastic company. They have provided outstanding service for both our company and home for several years. They are very responsive to your needs and are always coming up with creative and new ideas to fit any budget.  We highly recommend New Castle for your landscaping needs! New Castle installed our patio awning 6 years ago. It’s beautiful and we love it. Every spring New Castle puts it up for us and in the fall they take it down. The staff are great to work with. I would recommend New Castle to anyone who wants to enhance their patio. Many thanks to Andy, Matt, Brad, Brian, Bryan, and the crews at Newcastle. Very professional, courteous, and pleasure to work with. A real team effort. We love our new patio and appreciate their efforts bringing our combined ideas to reality. Beautiful work. I absolutely love my patio! I also have high praise for your regular lawn service and tree services. Great folks at New Castle and great quality! Great people. Did a terrific job trimming two large maple trees, Great clean up and fairly priced. Work crew guys were friendly thorough and polite. Highly recommend their services. Will definitely use them for landscape work in the future.Enjoyed having them here. As a contractor, I utilize NCLLI’s tree service quite often. I can depend on their promptness to my specific jobs and attention to detail while operating safely on my the job. The crews always provide a great clean up job to finish things right. Service with a smile. We have a new awning (earlier this year) from them and it’s perfect. And they do a fantastic job with our landscaping–installing and maintaining. Thanks NCLLI–great job as usual. Thank you New Castle! Steve and I love our new patio! Everyone from Newcastle was a pleasure to work with. They were professional, polite, and always happy to answer any questions we had. We were home all day watching while the patio was being built, and the construction is top notch. Our little backyard now has the oasis we were hoping for! We have been dealing with New Castle Lawn and Landscape since they began, and have always been extremely happy with their work. We just had a planting done in front of our house, and they did their usual superior job. We use them for mowing, fertilizing, trimming (shrubs and trees), spring and fall clean-up, and are very happy with the quality and dependability of their work. Bravo, again!!! I hope all is well. I have to tell you the gentlemen that did our mulching were awesome. Truly awesome. They did a great job with the actual mulching and they were so careful not to make a mess. Curt and I couldn’t stop commenting about how amazing they were. Please let them know we appreciate all their hard work. We are so happy with our new landscaping! The new patio is amazing! It’s our new favorite spot! I can’t thank you and the fantastic crew that worked on our project enough! Devon and Emilio did such a great job with the hardscaping on the new patio! They both worked so hard and meticulously from start to finish. Phil was on vacation, but came by as soon as he got back to make sure everything went well. He said that he tells the crew to work on each project as if it were their own property, and it was obvious that they take that to heart! Chrissy and the planting crew also did an amazing job! Each area that was newly planted looks awesome! She made sure that everything was prepared, planted, mulched just the way we wanted it. She also made sure that we knew everything we need to do to water and maintain our new beautiful plants and trees, and encouraged us to call or text her with any questions or concerns. Every single person that worked on our project was professional, friendly, clean, and made us feel like they would do everything they could to make sure we were completely satisfied. At the end of each work day, they took the time to thoroughly clean up every area in which they had worked…even the driveway between the house and the woods where they harvested our rocks for the patio wall! So, needless to say, we will continue to call on New Castle for all our landscaping needs, and will highly recommend your company to family and friends without hesitation! Thank you so much! Feel free to stop by for a drink on our awesome new patio! !